NEW YORK--(BUSINESS WIRE)--letgo, the biggest and fastest growing app to buy and sell locally, announced today that Naspers has committed to invest $500M of new capital into the company, $150M of which was transferred earlier this summer. Naspers cited letgo’s extraordinary growth and market opportunity as key factors. letgo said the new financing will accelerate its growth, product evolution, expansion into new verticals and monetization efforts as it continues to make secondhand e-commerce an even bigger part of the sharing economy. The 3-year-old startup also disclosed that its app has passed 100M downloads, 400M listings and 6B messages sent between users, with most of its users located in the U.S. The number of monthly listers on its marketplace has grown 65 percent since the beginning of 2018, primarily driven by increased engagement and retention. 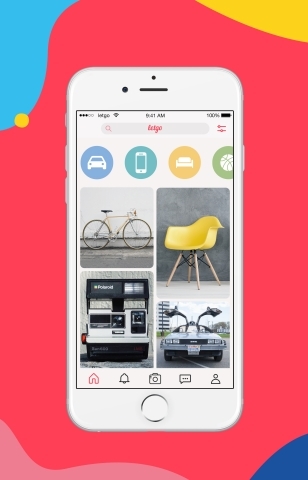 letgo has quickly built one of America’s most popular apps by combining technology like image recognition with intuitive design to make buying and selling secondhand much easier. Posting anything from a mountain bike to a video game console is as effortless as taking a photo because letgo’s technology automatically suggests a title, price and category. The company’s emphasis on simplicity is a major reason why comScore’s most recent U.S. mobile report ranks letgo second among the fastest growing apps in the U.S.